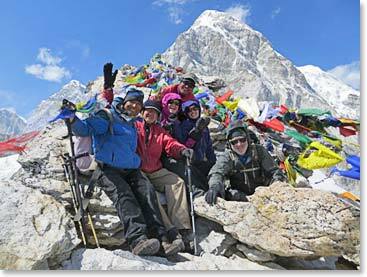 Kala Patar, 18,500ft/5,600m above sea level, is a world famous high point, known of it views of Mount Everest, the South Col and Lhotse. 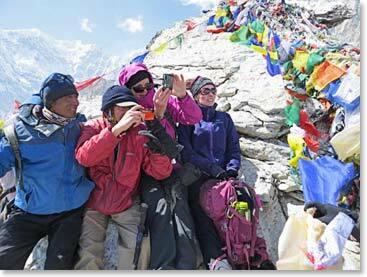 It has proven to be a surprising high-altitude challenge to countless trekkers who have attempted to reach its summit from Gorak Shep. 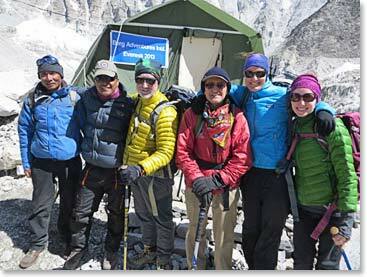 You can reach the top of Kala Patar from Base Camp, although the route is longer and more difficult that the trail from Gorak Shep. 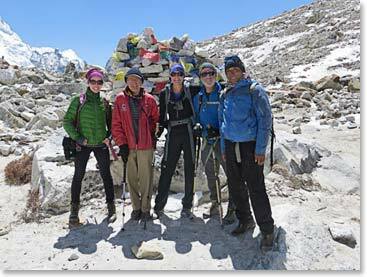 One of our climbing Sherpas, Arita and trekking guide Min left after breakfast for the ascent. Min got these great photos during the 7-hour round trip to top of Kala Patar and back. The day was beautiful, although it was very windy (30 MPH plus) at the higher elevations. The team packed up and ready to leave Base Camp after breakfast . 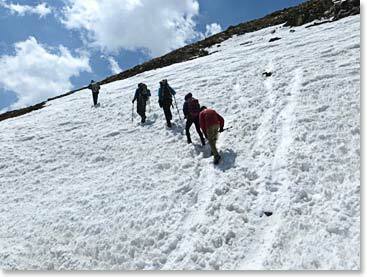 As they climbed higher they encountered snow. 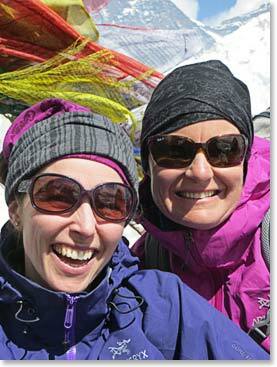 When climbing Kala Patar one finds chortens with prayer flags far below the top. The views are spectacular the whole way up. 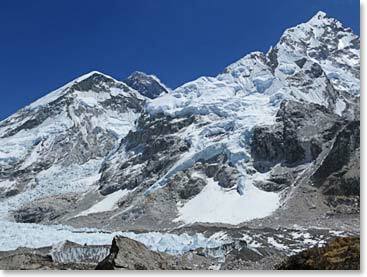 The views of Everest get better and better as you climb higher. The team on the very top, holding on in the wind. Pumori, nearly 23,000 feet high rises behind. 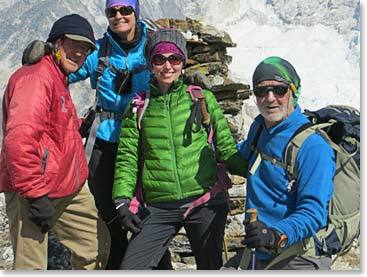 Below the highest winds our trekking team poses at a Buddhist chorten on the side of the mountain.